Amazon, formed 25 years ago, this week eclipsed Microsoft to become the world's most valuable listed company. 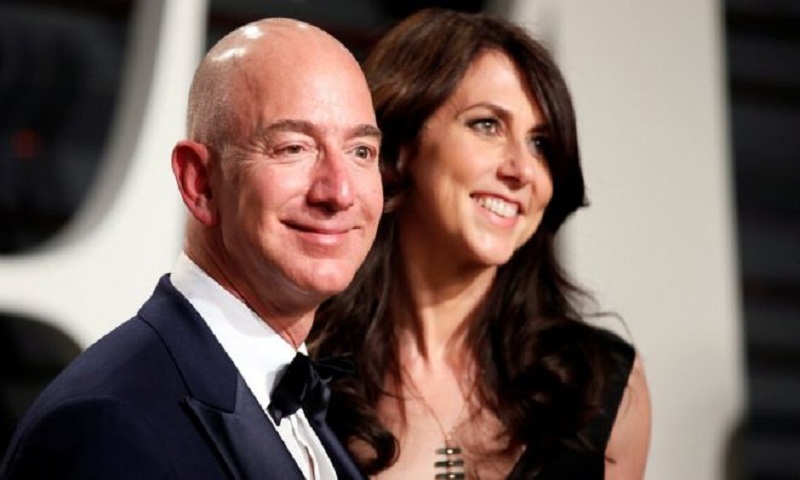 Mr Bezos, 54, who founded Amazon, is the world's wealthiest man according to the Bloomberg Billionaire Index, with an estimated wealth of $137bn, some $45bn ahead of Bill Gates. "We feel incredibly lucky to have found each other and deeply grateful for every one of the years we have been married to each other," the couple's statement said. "If we had known we would separate after 25 years, we would do it all again. We've had such a great life together as a married couple and we also see wonderful futures ahead, as parents, friends, partners in ventures and projects, and as individuals pursuing ventures and adventures. "Though the labels might be different, we remain a family, and we remain cherished friends." Entertainment news site TMZ, citing sources linked to Ms Sánchez, said the presenter has been "seeing" Mr Bezos as of late last year. One year later he founded Amazon - which began as an online book retailer.